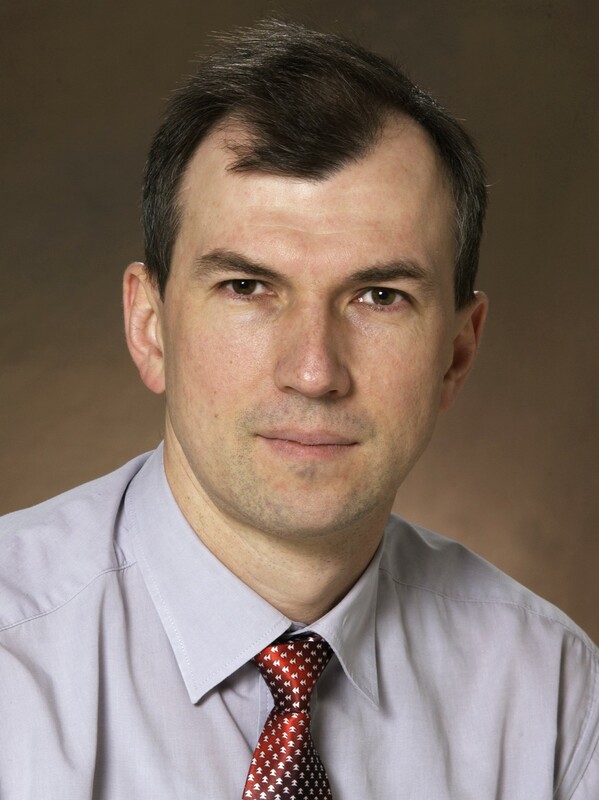 Andriy Voronov is an Associate Professor in the Coatings and Polymeric Materials at North Dakota State University, Fargo, ND, USA. Before joining NDSU in November 2007, he held a research position at the Institute of Particle Technology, University of Erlangen-Nuremberg in Erlangen, Germany. He completed his academic education in the Ukraine, gaining an MS in Chemical Engineering and a PhD in Polymer Chemistry from Lviv Polytechnic National University. Andriy Voronov’s research concentrates on nanostructured materials, responsive materials, polymer sustainable and renewable materials, biomaterials, particularly, colloids (including responsive polymer micelles), nanoparticles (including (bio-based) polymer latexes), polymeric surfactants, gels, polymer interfaces, thin films, and polymer composites, as well as on macromolecular design and polymer synthesis. In 2000-2003, Andriy Voronov was an Alexander von Humboldt Research Fellow at the University of Bayreuth, Germany. He has been a Visiting Scientist at Vienna University of Technology in Austria, Visiting Fellow at the University of Ulm, Germany and Institute Charles Sadron, CNRS, Strasbourg, France. Published about 90 articles in peer reviewed scholarly journals, 6 chapters in books, >40 preprints, and filed 7 patents/patent applications; since 2008, gave >40 lectures/seminars; conducted interdisciplinary research on about 15 projects. András Halbritter is a professor and the head of department at the Department of Physics, Budapest University of Technology and Economics. He has graduated as a physicist (1999), and received his PhD degree (2003) at the same University. András Halbritter's research concentrates on the investigation of atomic-scale transport phenomena, like the conduction of single-molecule nanowires, memory operation in few atom resistive switches, and the investigation of local, nanoscale spin-polarized phenomena.